With every new outfit, we wish to purchase a pair of new earrings. Accessories like earring and bracelets aren’t cheap and we end up spending up a lot on these things. Even though they add grace to the outfits, we don’t wish to spend thousands of rupees on them. This is why we have got another #DIY- Do it yourself Hack for you girls. Learn How to Make Earrings from Cute Buttons you already have at home. These DIY earrings are trendy as well as easy to make! This article shows you how to take your collection of old but cute buttons and turn them into trendy stud earrings that you can wear with all outfits or give to your friends as gifts. Because they’re so easy and fun to create, they make excellent gifts for friends and family members. Collect all the materials required. Decide a place to work and cover the entire work place with newspaper or any plastic sheet. This will prevent you from making a mess. The newspaper also prevents any kind of glue spills. 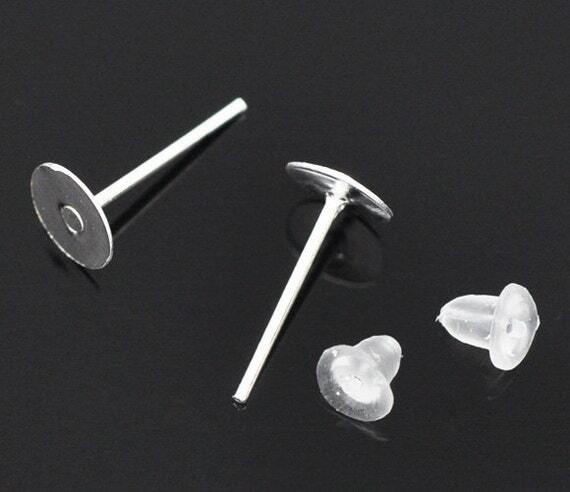 Start by selecting the buttons you want to use to make the earrings. You will need two buttons of the same kind to make a pair. So be extra careful while choosing the buttons. Now glue the back of the stud post with fevicol. Do the same to the back of the button but use a glue stick. This avoid messing us the buttons. Now, put together the stud post and the buttons carefully. Make sure that the stud post is centralized or else it would look messy!! Put the earrings in a zip lock or a transparent bag out in the sun. This will dry the glue. Put these earrings out in the sun for twenty-thirty minutes. Everything’s done; match these trendy earring you made with any outfit of your choice. Wear rubber gloves while gluing the buttons. Don’t just restrict your self to buttons, you can use beads as well. To fasten the drying of glue, you can even use a hairdryer. They are SO quick and easy to make. But best of all they are trendy and low cost. If you did make these button earrings, please post a photo of your creation below. Also tell us below which DIY tutorial would you want next and we will bring that to you. Thank-you for reading! !